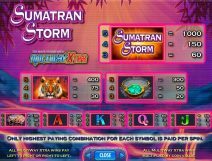 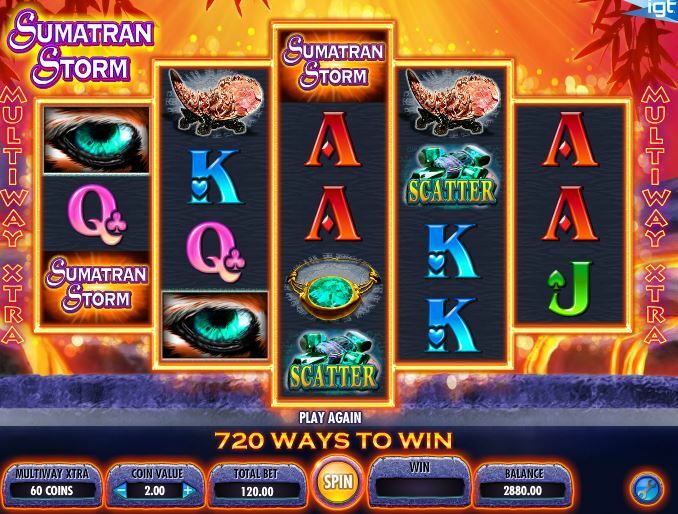 Sumatran Storm slot – a jungle theme unlike its frozen IGT brother Siberian Storm. 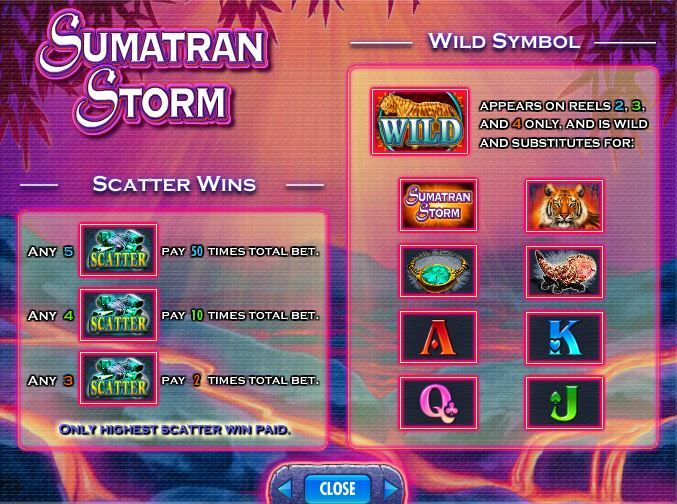 Play 720-ways with Wilds on the centre 3 reels and scatters on all for straight coin wins. 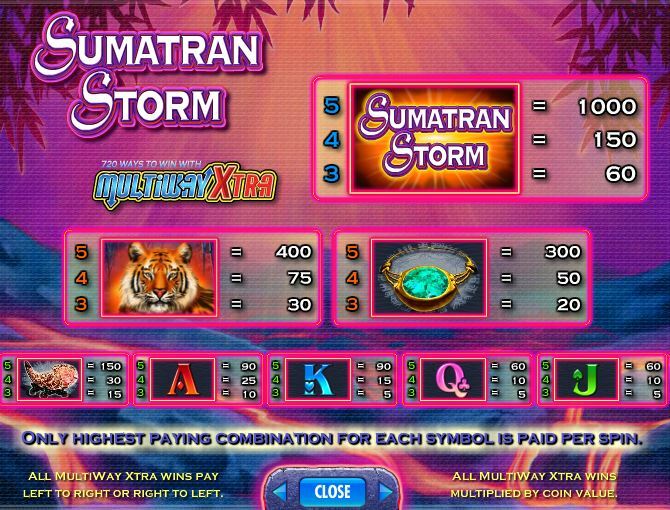 There is a special bonus symbol on all 5 reels which are in a 3-4-5-4-3 row set-up. 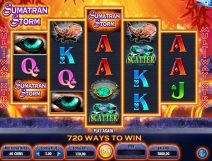 One way of 5 bonus symbols awards you 8 free games but it is possible to get 12 ways of bonus symbols due to them appearing stacked for up to 96 spins! 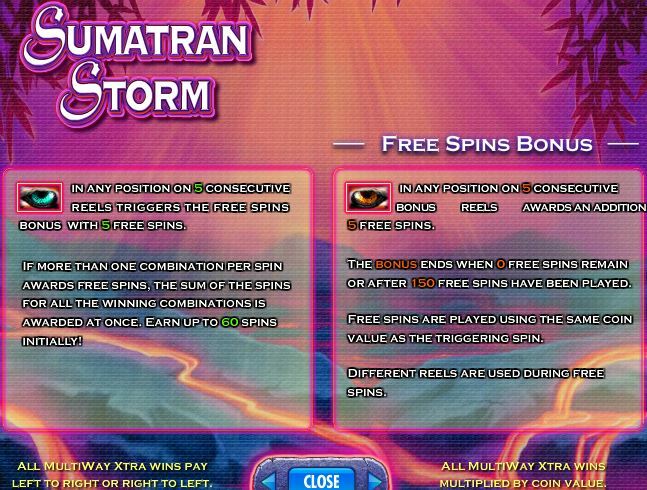 You can earn more free spins during the bonus. 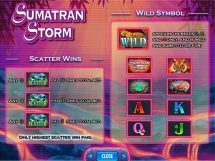 Reels have more stacked Wilds and premium symbols stacked in the free games on 2, 3 and 4. 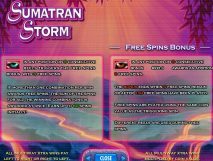 92.52-96.0% RTP for Sumatran Storm slot.